Each week, the best design, photography and architecture submissions in industrial design, graphics and communication design, architecture, interior design, packaging design and photography will receive the DA Awards. Award winning works will be given the Advanced Distribution service by PRHow to help disseminate the winning projects and furthermore, they will be able to use one of the six logos depending on their award category. Furthermore, the jury could also choose the best-of-the-best for excellent submissions. 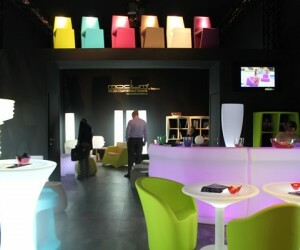 Best of the best winners will be provided a special PR service by DesignPRWire. All DA Award winners will also be provided a link to their portfolio or webpages and will be featured at DesignAmid Magazine homepage. To submit entries to the DA Awards, participants are required to register to the DesignAmid magazine website. After registration, entrants could submit their works by creating a new article. Deadline is always on Friday. Results are usually announced on Mondays i.e. two days after the deadline. Award winning works will be featured in the first page of the DesignAmid magazine, will be given the advanced PR Distribution by PRHow, and will be able to use the award winner logos. Up to 20 images could be submitted. Designs, photographs or projects for the DA Awards could be submitted online. First, entrants are required to register and login to DesignAmid magazine and click on the join DA Awards link that is shown after login. Afterwards, participants will be redirected to a new page to create a new entry. During entry creation, all the paragraphs should be filled, a title must be chosen and keywords must be entered. Participants should also agree to the terms and conditions displayed at the DesignAmid DA Awards participation page. Submitting to DA Awards is indeed easy. After the text is filled, entrants could upload their images. For entry, both the text and images are required. To be able to upload their images, participants need to fill text first and click the next to continue to open the second page for uploading images. Entries can be edited, thus there is no need to restart submissions from the beginning. When filling the text participants are required to use the Title Case. Entries which use UPPER CASE are not evaluated. During design submission, the Author field will be filled automatically based on the registration data and is not editable. This is the name entrants use during their registration, therefore it should be the designers’ name. For the category selection, entrants can choose whichever is relevant to their submission. For learn more link, entrants can use their own webpage address. For references field, participants can leave it blank or provide information regarding themselves, entrants could submit a summary of their company or provide a short biography using third perspective. When submitting description of your work, only the English text is required to be filled. Fill title, description and keywords. Italian text is optional and could only be filled if you are a native speaker: Do not use automated translation, rather leave the Italian text fields empty. For title, use the design name only. NO ALL CAPS, use Title Case. For Description text field, briefly explain the project using two sentences, you may talk about main function, inspiration etc. Use the input box size for reference for how much text to enter, do not overtype because for paragraph 1 you will provide a longer summary of the project. For paragraphs 2 to 20, fill specific details regarding your project. For industrial design projects, for example talk about function, materials, realization technology, innovative aspects, sustainability, engineering details etc. For photography, you may talk about inspiration, techniques used, inspiration and mood. For packaging design, you may mention standards, choice of mediums etc. Alternatively, you may explain the images you would submit in the next sections. Please remember that all the paragraphs must be filled. This is especially required to ensure that the design submission would be visible online during searches performed by media members. Therefore, entrants are required to explain their design submissions in very detail. Talk about any and every aspect about your design. Talk about your reasoning, inspiration, challenges and motivations. Entrants are suggested not to not write their email address anywhere during the submission. Important: For the keywords field, do not forget to write the award category you apply for, type one of the following to the keywords text field during your application: Photography Awards, Industrial Design Awards, Packaging Design Awards, Architectural Design Awards, Graphics Design Awards or Interior Design Awards. Also as the second keyword, use a comma (,) and type: Photography Award Winner, Industrial Design Award Winner, Packaging Design Award Winner, Architectural Design Award Winner, Graphics Design Award Winner or Interior Design Award Winner. Submitting images of your project: Upload your main image as the best view of your project, this image must be placed on white background. It must be 600 x 600 pixels jpeg file, a square image. If your images do not display correctly, it is usually because they are either not JPG files or because they might be too big. Main image is definitely required for all submissions. Furthermore, you can upload up to 19 images of your project. These images are also important, and at least 6 – 7 images shall be uploaded. It is best to upload all images. For architectural design submissions, upload different views, details including technical ones such as plans. You may upload renders, illustrations or photos. For photography you may upload sets. You can upload 19 of your photographs (which share the same concept) as a single submission. For industrial designs, you could also submit product family objects: for example if you designed a set of furniture you could submit all of them as a single entry. For graphics design, such as logos, ensure to submit also their applications and views on merchandise etc. For interior designs, you can submit different views. 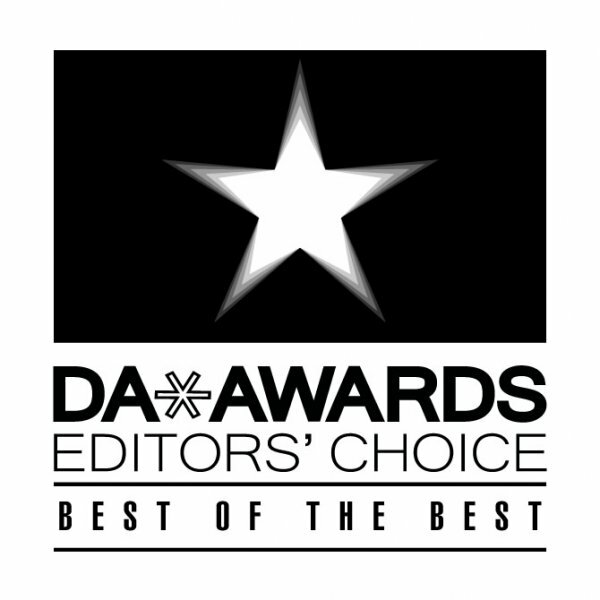 Eligibility for the DA Awards: DA Awards is open to designers over 25 years of age. Works that would be submitted must be made within the last 6 months. Older designs are not accepted. Both conceptual and realized works are accepted. Always submit your own content. Never submit content created by others; you are responsible for your submissions. Submissions are accepted worldwide. Both professional and student works are accepted. Student work submissions should type Student Work as the third keyword to ensure positive bias towards their entries. Professional works should type Professional Design as the third keyword. Industrial Design Award: Submission is open for furniture designs, household equipment, white or brown goods, tools for kitchen, homeware, bathroomware, mobile gadgets, electronic and electrical equipment, industrially produced decorative items, kitchenware, tableware, recreation equipment, toys, lighting equipment, machinery and similar products. Arts and crafts works or ready-made designs are not accepted for the industrial design award however jewelry designs are accepted for consideration. If you are going to submit an industrial concept design and do not have an idea about what to design, you may design a chair or stool. 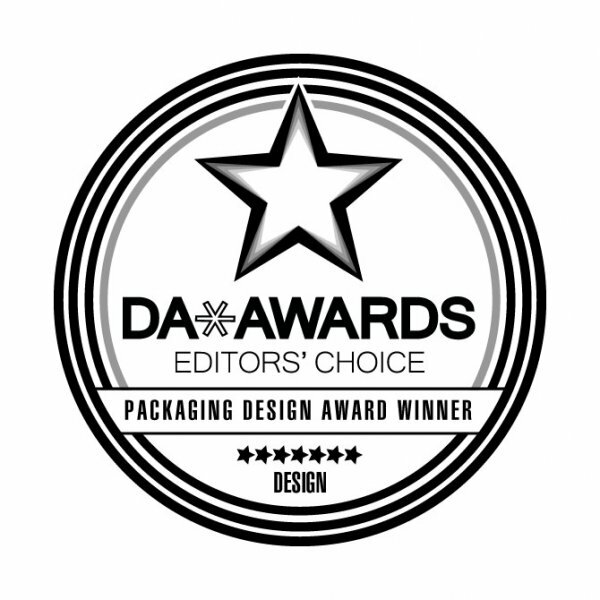 Packaging Design Award: Submission is open to both 2D and 3D packaging yet application must be demonstrated on 3D packaging. Main image should be the 3D package, while other images could be conceptual drawings, 2D labels etc. If the packaging relates to an identity design consisting of dozens of different applications of the same 2D design on different forms and shapes they all could be submitted as further images. Very good renderings of conceptual designs or professionally taken photos are accepted as images. If you are going to design a new concept, you could design a vodka or wine bottle. Graphics design award submissions are open for communication designs, advertising campaigns and other works that integrate graphics design as an important part of the design process. Infographics, logo designs, catalogs, books, corporate presentations and similar graphic design projects could be submitted. If you are submitting extensive projects such as identity designs for hotels etc, packaging designs could be included as well. If you wish to design a new graphics work, you could think of a restaurant identity set: Logo, business card, menu etc. Architecture award is open for entries of building designs, landmarks and monuments only. Landscape projects and urban designs are not accepted. Street furniture can be submitted to industrial design category instead. It is a good idea to submit different views, layouts etc. If you are going to develop a new concept you could design a bridge, monument or public space. Render quality must be exceptional for conceptual designs and photographs should be professionally taken for realized projects. Interior design competition is open to submissions of both public and private interior spaces. Especially restaurant interiors, bar designs, hotel room designs, exclusive interior designs for luxury housing and similar projects are accepted. If you are going to submit a conceptual design, please consider making a design for a restaurant or club house. When submitting designs to the interior design awards please ensure that the quality of images are exceptional. Please note that once your design is selected as a winner, it will be published in many websites and therefore it will not be possible to edit your projects afterwards. Award designs will be visible to public. Therefore, before submission ensure your project details are correct, designers name appears as an author and that all the images and material used within the presentation is yours. If your design is chosen as a winner, you will keep the rights to the design. Please remember to read the full competition terms from the DA Awards submission details. Remember, deadline for submissions is every Friday. Results are announced every week on Mondays. Submit your best photographs, architectural designs, interior projects, industrial and product designs, packaging designs to DA Design Awards. For further instructions and details you may like to refer to the DA Design Awards page at the DesignAmid magazine. For DA Award winners, check DesignAmid magazine every week. 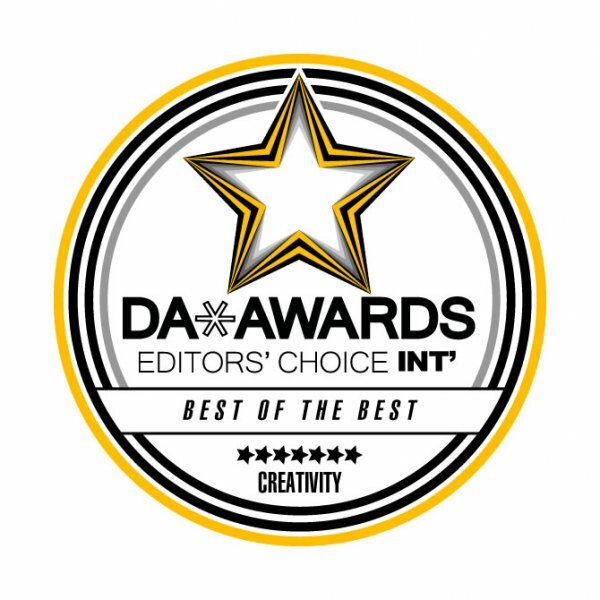 This article was added on Thursday, 20th of March, 2014 at 06.43 am by author Frank Scott Tags: design award, architecture awards, designamid magazine awards, da design awards, da awards, design competition, design contest . Read our copyright policy here.